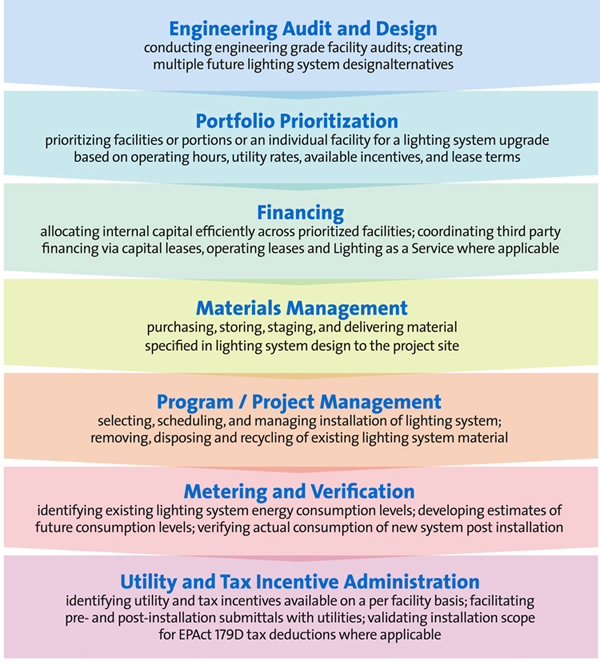 Eco Engineering offers a turnkey service that bundles a comprehensive suite of services involved in a lighting system upgrade. The full spectrum of capabilities enables us to audit, design, and implement projects in a tightly integrated and professional service package, not often seen in the electrical industry. This turnkey service also includes identifying and administering available utility incentive rebates and other pertinent federal, state, or local tax incentives. We go beyond simply completing applications for simple prescriptive rebates to also focus on custom incentives which may be available.